Jarrett Adams was 17 years old when he was sentenced to 28 years in a maximum security prison after being convicted of sexual assault. After serving nearly ten years and filing multiple appeals, Adams was exonerated with the help of the Wisconsin Innocence Project. Adams' story is not unique. According to a 2014 study published in the journal PNAS, more than 4 percent of those sentenced to death from1973 to 2004 are likely innocent, with men of color disproportionately represented in that figure. How do we combat racism in the criminal justice system to ensure that suspects are treated as truly innocent until proven guilty? What role can attorneys play in creating a justice system is truly just for all? 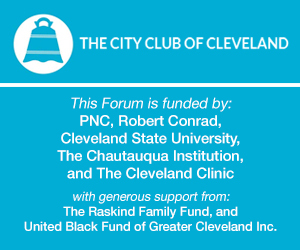 This City Club Forum features a conversation with Adams, now an adjunct professor at Loyola University School of Law, co-founder of Life After Justice, and an attorney with the New York Innocence Project, on his personal journey with our legal system.